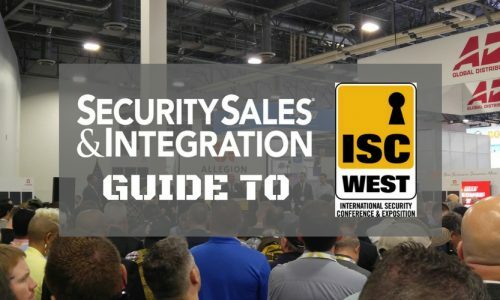 ISC West 2018, the largest security conference in North America, is coming up in Las Vegas. 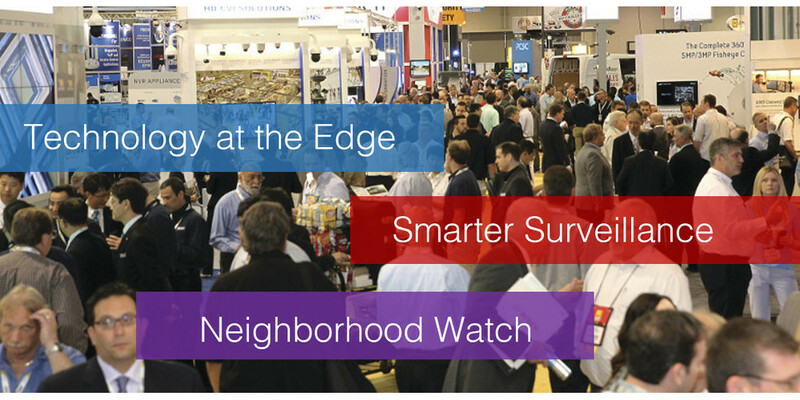 To help set the stage, we’ve highlighted a few trends in security, home automation and consumer IoT, all of which will be evident at the show. 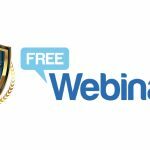 We’ll elaborate on these and related themes in our April 5 Webinar, Security & IoT Trends, presented by myself and two long-time industry veterans, Dave Mayne (Alula) and Avi Rosenthal (IoT Consulting). Today, however, we’re seeing a return to local processing, especially given all the concerns related to cybersecurity. As silicon gets smarter and smaller, new edge devices can perform system-wide integrations and analytics without having to query the cloud. The data – and less of it – doesn’t leave the home until it has to. For example, systems can perform facial recognition within a camera itself, and send only the results – like the person’s name – to the cloud, rather than sending an entire video stream. More integration is happening locally as well. Instead of every device and every command making a trip to the cloud, they’re working more magic through hubs and local communications protocols. Even Nest (ISC booth #33056), the king of the cloud, is bringing integration to the fog. 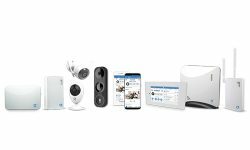 New temperature sensors communicate with Nest thermostats directly via Bluetooth; and the new Nest Secure alarm system communicates with Nest’s own sensors, Nest Hello video doorbell, and Nest x Yale lock (#8061, #8069) via Nest’s own Weave home-automation protocol. Home security and automation systems still tend to run on triggers, for example, tripping the security alarm when motion is detected, or setting back the thermostat every night at 8:00. More and more, however, true automation is becoming reality thanks to AI, or machine learning. Sensors, beacons and digital readers monitor activity in and around the house, learning who comes and goes, at what times, and how they like their temperature … among other things. Instead of the thermostat ramping up when Dad hits “disarm,” the system already knows he’s headed home, and starts warming up the place just as he leaves the office. Likewise, if some new sound or vibration occurs when it shouldn’t, or the house has more than the usual number of visitors at any given time, the system can send an “anomaly” alert to the owners. So instead of the house just responding to triggers, it responds to patterns – including when certain things do happen, should happen or don’t happen. Rising to the AI occasion, sensors these days no longer do one single job, like detecting motion or sensing the temperature. Today’s multipurpose sensors go everywhere and measure everything – motion, ambient lighting, environmental conditions, air quality, sound and more. The more they measure, the more the house can learn and respond with minimal human intervention. Facial recognition, people counting, package detection and other video analytics are nothing new in surveillance. They’ve been keeping airports, borders and other commercial spaces pretty safe for the past decade or two. But these capabilities used to require giant processors, big server farms, enterprise-grade network security and specially trained technicians. 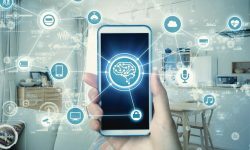 Now these computer-vision feats can be achieved with smaller processors and simpler products that consumers can install and manage on their own. And the smarter they get, the more sensors they can replace. Today’s cameras can track and analyze motion, sound, colors and even temperatures. They can recognize people, packages, pets, fire and specific activities like falling and breathing. They can see through fire, fog and walls (Flir #18059, Vayyar #34081), and identify abandoned objects and moved packages (Visualint from SnapAV, #3037). Furthermore, much of the intelligence can be handled locally, in the fog (#1 above), so less of the sensitive data has to leave the premises. Fortunately, as video surveillance is becoming more ubiquitous, so too are the methods for reviewing these vast new troves of footage. 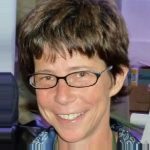 Google now has technology and an API for searching video for people (“Julie Jacobson”), things (“red hat”), activities (“running”), text (“UPS”) and other parameters. Many of these features now are available on Google Photos and the Google Lens app. Both IC Realtime (#28091) and Briefcam (#31086) are selling surveillance solutions with robust search features like these. Both also enable users to view time-lapse video highlighting only relevant clips, for example, those that include moving cars or females. The system gets smarter over time, as users indicate which results are important or not. IC Realtime is already providing these features in consumer-oriented solutions under its new Ella product line. Briefcam’s technology is offered in a wide range of commercial-oriented solutions, and we can expect to find the technology in consumer products in the future. Own the neighborhood, own the homes. That’s the mantra of security companies like Vivint and Ring, both of which offer apps and alerts to help neighbors share video surveillance and security-related announcements with the each other. The heavier the concentration of connected security solutions, the greater the potential to contain crime, fire and other local threats. Also … the greater the opportunity to sell more products and services to participating neighbors … and the more efficiently to provide services to a high concentration of customers. Amazon didn’t buy Ring (#31073) for its doorbell technology. It acquired the company for its deep penetration into neighborhoods and communities – a self-perpetuating purchasing machine. As with Cloud-based solutions, we’re kind of going back to the future with security and home automation hubs. For many years, the trend was all-in-one solutions that included the guts of a system, along with cameras, sirens and a touchscreen UI all in one self-contained unit. 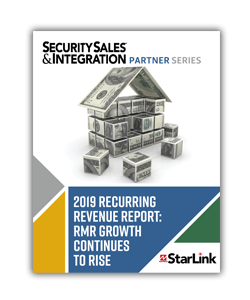 Now many top security manufacturers are decoupling the elements, and selling lower-cost “headless” hubs with discrete components such as keypads, sirens and cameras. 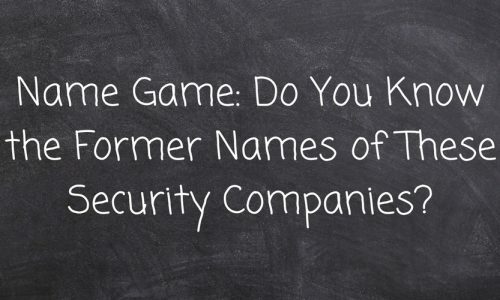 While headless security systems are often associated with DIY (Lowe’s Iris, iSmartAlarm, Swann), they are finding favor among pro-oriented vendors that believe security hubs are best left in a closet connected directly to a router. Resolution Products, which merged with ipDatatel last year to create Alula (#22059), has always subscribed to the headless model. Other leading manufacturers are at least coming out with stripped-down versions of their all-inclusive hubs – like the 2Gig Rely from Nortek (#20015) and DSC Iotega from Johnson Controls (#20005). Dual communicators refer to redundant modes of communication, primarily from a premises to a central monitoring station or cloud-based service. The dual paths usually consist of IP and cellular communications, but could instead comprise two different mobile carriers – whatever works for redundant operations. Dual-path systems shouldn’t be a “trend” anymore. It should just be an established “thing.” Still, some systems and services only support one communications path at this time. At ISC, look for universal dual-path communicators from several vendors including Alula (ipDatatel, #22059), Napco (StarLink with iBridge, #12043), Elk Products (C1M1, #8032), and Telular/Telguard (TG-SCI, #18109) – any of which can be paired with most popular security panels. Some of these products also include Z-Wave technology and Cloud-based services for integrating security and home automation. 5G is coming, and someday soon we’ll see lightweight IoT devices that bypass the home network altogether and communicate directly with the cloud via cellular communications. Even without 5G, we’re starting to see cell-only devices, including cameras (like Netgear Arlo, #4038) and access control systems (CellGate Watchman, #6055), that don’t require a local network. We’ll also see a variety of cell-enabled mPERS solutions (Numera from Nortek, #20015; Freeus, #31087) and personal safety devices (Occly, #9148) at ISC West. 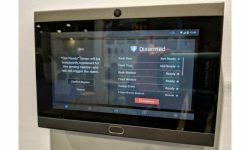 More consumers are helping themselves these days, and more vendors are coming to their aid, with DIY security and automation systems sold off-the-shelf or over-the-Web. But these systems lack the support and professional services that traditional dealers can provide — advanced integration, video verification, system configurations, false-alarm mitigation and the like. Furthermore, consumers these days are bombarded with so many DIY choices, they likely will turn to pros for smart home services. 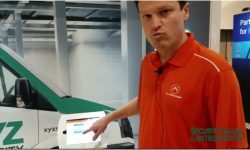 Manufacturers serving the pros — including all the majors at ISC West — will be demonstrating solutions for self-installed, professionally monitored systems.